Jeffrey Foster has spent his entire life in the tiny town of Dead Meat, Illinois. He's always thought small, been afraid to take chances. His life's ambition is to get promoted to assistant manager at the convenience store where he works. All that is about to change when Mortog Flethrax comes to Earth. Every intergalactic warlord had to start somewhere, and that's where Mortog Flethrax is. He's a recent graduate of the Nhakon University of Destruction and Mayhem, and eager to make his mark in the Xenon Empire that rules the Galaxy. Mortog's first assignment is an insignificant little planet so pathetic that even its inhabitants call it dirt: Earth. With his devoted robot soldiers and textbook from class, Mortog plans to rule the world in less than twenty-four hours. He's starting with the town of Dead Meat. Fortunately, it turns out that Jeffrey's best friend Dirk is a highly trained intergalactic freedom fighter. Together with Dirk's family, Jeffrey will be forced to rise up and save the world. 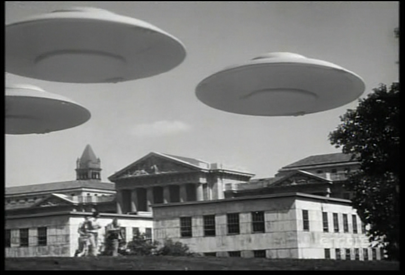 Fans of Mystery Science Theater 3000, Douglas Adams, and Terry Pratchett will appreciate Flying Saucers. In keeping with the sale, for the first week, Flying Saucers will be only 99-cents. I'll have more details coming soon.